It’s kinda surprising that diet and exercises get all of the attention when posture can as well impact our overall health. While a lot of people don’t know, maintaining good posture habits and routine posture exercises is quite important. But, just how important can this be to your health? Let’s find out! If you truly want to live a long life characterized by proper health and wellness, you’ll need a straight spine for correct posture. Unfortunately, a lot of us often care less about this. This is the reason why many people usually experience many of the negative effects of poor posture habits, even in the early stages of their lives. You can always get to correct poor posture with the right posture exercises. These exercises will help your body assume proper alignment. This condition will also help your muscles, ligaments and bones function optimally. A good posture will also help your body organs assume proper posture and your body’s systems will ultimately function better as a whole. We’ll be discussing five of the simplest posture exercises that can easily help your body regain its correct alignment. But right before we go right down into this, how about we discuss some of the ways you can differentiate good posture vs bad posture? A good posture is simply balanced and upright. Anything aside from this is bad and will ultimately affect your health in the long run. When standing, a good posture will have the head in the midline in line with, and on top of the shoulders. On the other hand, having your head held forward of the shoulders or being tilted to one side is bad posture. A good posture will have the chin tucked in without poking or jutting forward. The shoulders are relaxed and the bottom tucked in. Hunch shoulders, sticking out bottoms, are characteristic of bad postures in the standing position. The individual has to be able to stand with their feet slightly apart and in line with the shoulders. Total body weight also has to be equally divided because a failure, in this case, will cause the spine to tilt or curve sideways. To maintain a good sitting posture, you have to sit with the chin tucked in and the shoulders relaxed. The hips, knees, and ankles are also to be at right angles with the thighs in level with the knees. You don’t want to poke the chin forward or sit with hunch shoulders. That is bad! A good sitting posture will also have the head in the midline, the same way it would usually be in the standing position. However, maintaining a good posture is not limited to sitting and standing alone. It extends farther into the way you walk, the way you lie down, etc. In all of these, it is important that you understand how necessary it is to keep the spine straight and in line. The wall angel exercise is exceptionally good at strengthening the back and improving body posture. If you’re looking for some of the best exercises to improve posture, then this is it! This exercise is another great one even if you’ve tried and failed at other ways on how to fix your posture. There are several types of doorway stretches and all of these will greatly help to improve your posture even if done for five minutes daily. Any of the doorway lats stretch, doorway hamstring stretch, rotator cuff doorway stretch, one-arm doorway stretch, or the doorway lower back stretch would work just fine. 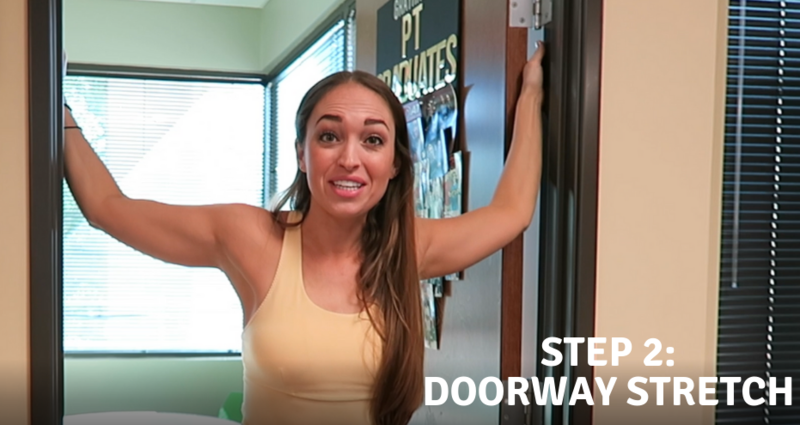 These simple doorway stretches will easily help release tension and tightness to help correct poor posture and improve your body’s flexibility. The corner stretch helps to improve chest flexibility and if you’re looking for the best posture exercises to improve posture and alignment, you’ll find this particular routine very useful. The chest opener is a simple exercise but it actually is one of the best posture correction exercises you can easily use to correct posture. Its simplicity makes it very practical and can be done whether you’re at home or at work. It certainly deserves your attention if you’re looking for how to fix your posture. A rolled towel or foam roller exercise is also another group of excellent posture correction exercises. These exercises can be easily done after work sessions and are great at helping people release muscle knots. Although these exercises can seem somehow uncomfortable, if you’re able to work through this, you’ll definitely be able to increase your motion range to ultimately correct your posture. What Should I Wear To Improve My Posture? These posture correction exercises are great and very helpful in fixing poor postures. However, supporting this recovery process with a posture correctional product will also help to enhance the process for faster and better results. 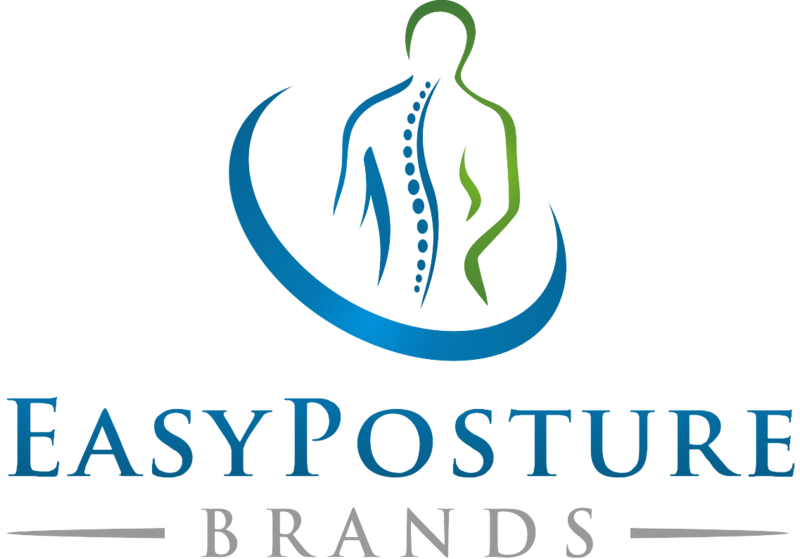 If you’d like to get such a boost, the Easy Posture Corrector Brace would be your best choice in this regard. Let’s briefly see what this is and how it works. You see, the Easy Posture Corrector Brace is designed to keep your body aligned at all times. Sitting improperly behind your work desk among other things will contribute to your poor posture and alignment issues. While occasional posture exercises will help, this brace ensures you’re always in good shape as far as posture is concerned. The brace effectively fixes bad posture and effortlessly reduces neck and upper back pain. Because of the premium material quality, it is super comfortable and can be worn under your clothes to work or inside the home. It can also be worn by kids as well due to its exceptional comfort and fit. You can start wearing it for 15 to 30 minutes during the initial stages. Along the line, you can then increase the duration gradually. As effective as this brace is, it’s actually very affordable. It will realign your spine and strengthen your muscles. Don’t just rely on posture exercises alone! Getting the Easy Posture Corrector Brace will make a light job of correcting your posture. Along with the right posture exercises, this will help to speed up your recovery and restore optimal health and wellness for your body in no time. Why Good Posture Matters as You Age....Listen to the Creator of the "The Fruit Doctor" Share How to Reverse Bad Posture As You Age!